Bangkok, formally called “Phra Nakhon”, is the capital of the kingdom of Thailand and is also locally known as “city of angels”. 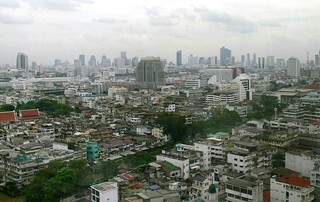 Bangkok originated as a small trading post on the river Chao Phraya and became capital in 1768. In today’s Southeast Asia, Bangkok is a dynamic and lively city and the country’s economic centre, mainly due to its continuing strategic role since the French/British colonial days as the original capital of Siam (the former name of Thailand). Bangkok is a huge city (population over 12 million), served by two international airports, (Suvarnabhumi and Don Mueang) and also the regional headquarters of many multinational corporations. Bangkok also has huge influence on art, fashion and politics, however these attributes contribute to make it an expensive city, at least by South-East Asia standards. Some of Bangkok’s most historic venues include Wat Pho, Wat Arun and the Grand Palace. Must visits are the Metropolitan Museum of Contemporary Art, the National Gallery of Thailand (near Sanam Luang), the Creative and Design Center, the Thailand Cultural Centre and the National Theatre. 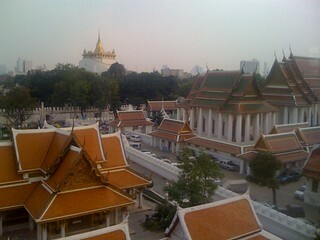 Contemporary art thrives in Bangkok and traditional art is mostly found in temples, palaces and the old city. Bangkok has a tropical wet and dry climate, which can sometimes be rather hot and humid, but is never far too cold. 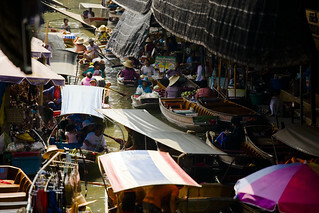 In the past, Bangkok’s intricate canal (khlong) network gave the city the title “Venice of the East”. However, most of these canals were turned into streets, with the remainder operating as a mix of inhabited and colourful market areas tourists like to get lost in. Excellent examples include the downtown Khlong Saen Saeb and the floating market of the Taling Chan district. 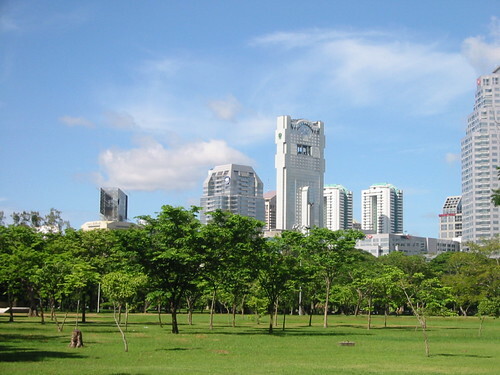 Despite its large city status and so many built up areas, Bangkok’s also great for large open green central areas. These include the forest park between Samut Prakan, Queen Sirikit Park near Lat Yao and Yannaw, Lumphini, (Bangkok’s Central Park), famous for grand pageants and Thai ceremonies. Getting around the city and beyond is quite possible with regular, plentiful and cheap buses running throughout Bangkok and the nearby districts. You could also try the canal boat service, running through the city along the Chao Phraya river, the mutli-stop Chao Phraya Express boat or one of the many cross-river ferries. 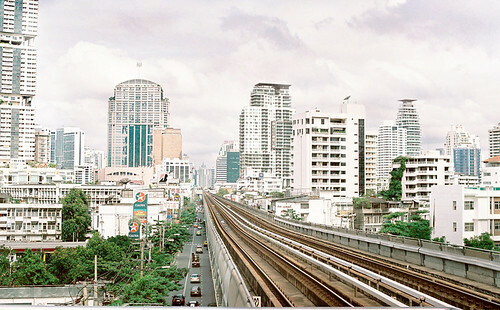 The MRT subway runs through the city centre, eastern Bangkok and also connects the northern and central rail stations (Bang Sue and Hua Lamphong). The new high speed elevated railroad connects Suvarnabhumi Airport with the city, while intercity trains from Hua Lamphong connect Bangkok with Nong Khai, Laos, Chiang Mai and Malaysia. 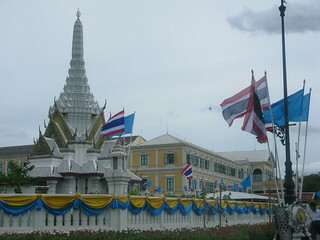 It’s great fun to attend any of the colourful Bangkok festivals, including the Songkran in April, the ceremonial Thai New Year festival at Sanam Luang by the Grand Palace, the Queen’s Birthday Celebrations in August and the King’s Birthday Celebrations or the Trooping of the Colours in December.